The first large amalgamation undertaken by the Lancashire and Yorkshire Bank is in 1888 when it takes over the Branches of the Bury Banking Company Limited. 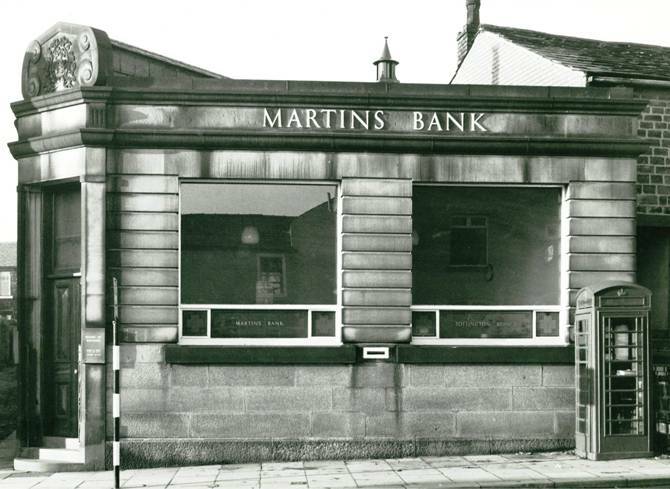 Previously a full Branch, Tottington is one of two offices of the Bury Bank to become a sub Branch under its new owners, and this seems to have remained its fate under Martins Bank and Barclays. The doors are closed for the final time in August 1996 making Tottington one of the oldest and longest serving Branches in Martins’ portfolio. 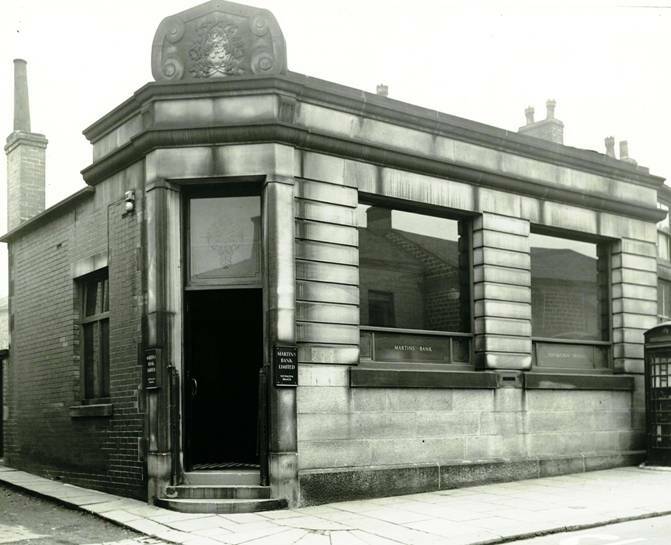 Together, the three sub-Branches at Elton The Rock, and Tottington provide a counter service to outlying areas of Bury throughout the lifetime of the modern day Martins Bank, 1928 to 1969. In this extract from Four Centuries of Banking, we learn something of the deal that took place when the Lancashire and Yorkshire Bank took over the Bury Banking Company.